We Are Your Ski-Doo Parts Headquarters. Ski-Doo parts nation, Ski-Doo MXZ 550 X Parts, Ski-Doo Summit Fan Parts, Ski-Doo Everest 600 Parts,Ski-Doo Summit X 163 Parts, Ski-Doo GSX Limited. 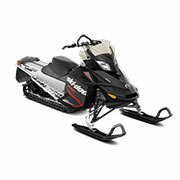 Great prices on Ski-Doo parts. Ski-Doo Skandic SWT Parts, Ski-Doo Summit X 154 Parts, Ski-Doo Skandic WT Parts, Ski-Doo Summit Hillclimb Parts. 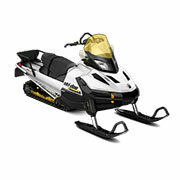 Get your Ski-Doo parts for your Ski-Doo Skandic Parts. 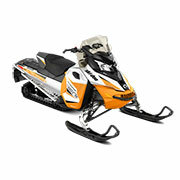 Ski-Doo MXZ Renegade X Parts, Ski-Doo GTX SE Parts, Ski-Doo Skandic Tundra LT Parts,Ski-Doo GSX Sport Parts. Big selection of Ski-Doo Parts including, Ski-Doo Summit Everest 163 Parts, Ski-Doo GTX LE Parts, Ski-Doo Skandic Tundra Parts, Ski-Doo MXZ TNT Parts. Ski-Doo Snowmobile Parts, Ski-Doo Everest 154 Parts, Ski-Doo GTX Sport Parts, Ski-Doo Freestyle Parts, Ski-Doo MXZ Renegade Parts, Ski-Doo Everest 146 Parts. When you are the proud owner of a Ski-Doo, you want to make your investment last for years of enjoyment. With our selection of Ski-Doo Parts at the ready, keep the fun going with ease and affordability for many seasons to come! We are an official authorized dealer of Ski-Doo parts which means we offer OEM (Original Equipment Manufacturer) solutions. These solutions are made direct from the manufacturer of your favorite Ski-Doo which ensures not only a proper fit in terms of specs on the part, but also the best outcome in performance levels for your particular model and series. We offer a diverse range of models, years, and series to help you get the exact part for your needs. 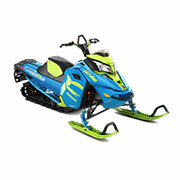 In addition, we also offer a wide range of part types covering every imaginable aspect of this snowmobile name. This ensures that whether you need track runners, bearings, or a starter, our inventory will have it in one convenient location. While we offer all the necessary Ski-Doo parts to keep your ride running great every winter, we also offer gear, apparel, and other accessories to help you make the most of ride time with all the extras. A great ride is a result of function and fun. We have plenty of options offering cosmetic or stylish appeal to your ride time as well as must-have components of a well-running machine. From decals to riding gloves, find it all right here. While we focus on Ski-Doo parts, we also offer a selection covering other lineups from BRP. As the umbrella company for Ski-Doo, Sea-Doo, and Can-Am, BRP is a leader on the market for exceptional vehicles made with a focus on power and performance for a range of terrains. Whether you are shopping for a snowmobile, watercraft, or ATV, we have you covered with one of the largest selections of solutions for a range of vehicle types and models. From helmets and riding pants for cold weather to dry bags for jet ski and racks for your ATV, we truly have it all ready to go for the easiest shopping experience possible. Best of all, we focus on quality solutions, whether OEM or aftermarket, to further ensure the right outcome for your needs. Find everything you need today and get back to riding! We pride ourselves on delivering outstanding customer service with every order. Our commitment shows in the quality of our parts, the diversity of our inventory, and our willingness to assist you as needed. If you have any questions while shopping with us, please reach out for further assistance. We are always happy to help in any way. At Ski-Doo Parts Nation, we work hard to get you the products you want at the speed you expect. We ship with UPS, USPS and FedEx to help get your order processed and shipped to your location in the most cost effective and fastest method available. We appreciate your business and continue to work hard to provide you with the best service available.